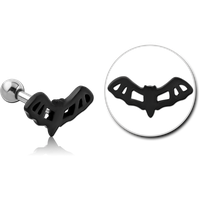 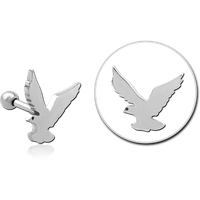 Popular options for ear cartilage piercing locations, the tragus is the little bump of firm cartilage that sits just in front of the ear canal, while the helix is located at the top of the ear. Cartilage earrings, the tragus piercing or helix earrings can take some time to heal and require proper care. 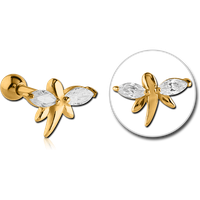 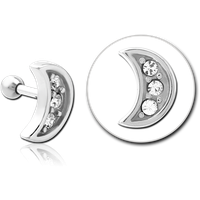 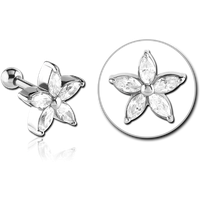 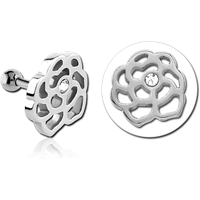 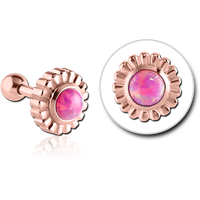 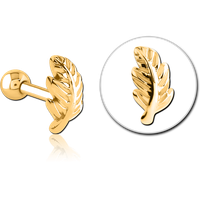 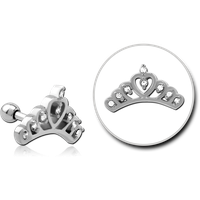 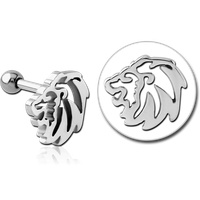 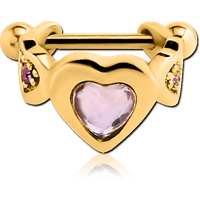 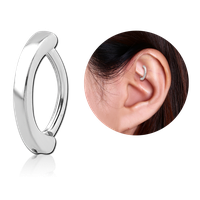 Cartilage earrings can take various forms, and studs and barbells of various sizes can also be used in the tragus piercing and helix earrings location. 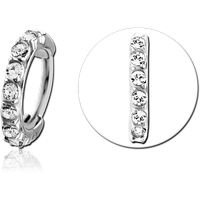 We provide an extensive array of jewelry for this versatile piercing, from internally threaded, jeweled barbells, shields, studs, and hoops. 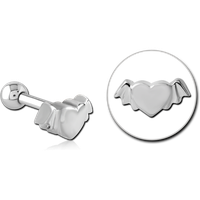 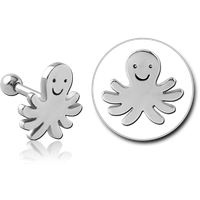 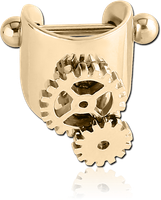 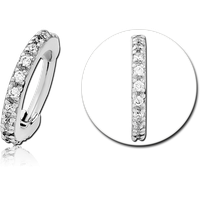 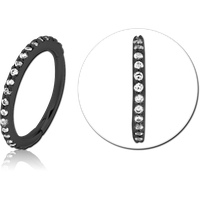 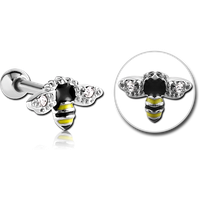 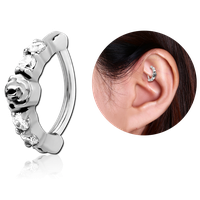 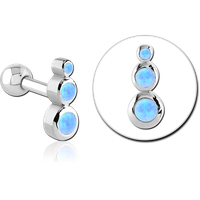 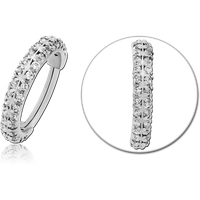 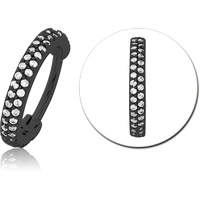 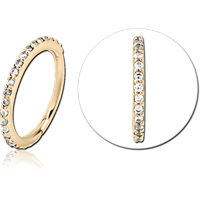 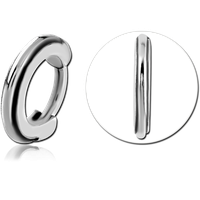 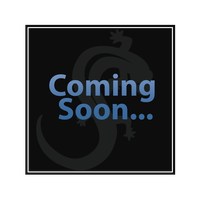 You can also browse the barbell and twister ring category for more tragus and helix earrings options.